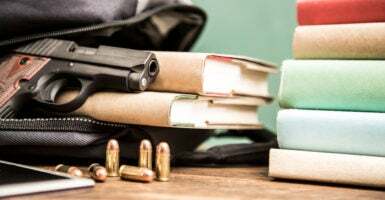 When mass shootings are heavily publicized and gun control proposals follow, the interest in firearms and firearms education rises dramatically. In particular, there is a now-predictable spike in those enrolling in concealed carry classes. The mainstream media provides a megaphone for those who call for “reasonable” gun control, and now even for those who call unabashedly for the repeal of the Second Amendment. But we hear little about these other people who respond by buying guns and getting licensed to carry a concealed weapon. People respond in this way because it works. We saw a prime example recently in Maryland where a school resource officer met a school shooter with armed resistance and quickly stopped the attack. We heard little about this in the mainstream media and even less mention of it during the March for Our Lives, which happened shortly after. Time and again, legally armed individuals step in and end violent attacks. Yet, the FBI has a track record of underreporting these instances. The massacre at the high school in Florida is used to promote gun control, but what we saw there were failures at so many different levels. People know that arming themselves, and training themselves, is the best way to ensure the safety of themselves and their families. Despite the blatant anti-gun agenda of the media, people have an innate drive to take responsibility for their own safety. Whenever we see a mass shooting, Americans do research to understand how they can properly arm themselves and protect their families. That’s why our National Carry Academy has seen a 103 percent increase in enrollment in concealed carry courses over the last few months. Not everyone who takes the course follows through on obtaining permits—many just want to understand how to properly carry a weapon. But we expect enrollment to continue to increase over the next few months as gun control legislation continues to be discussed at state and federal levels. Killers who go into public places and shoot people realize the longer it takes for someone to arrive with a gun, the more people they can kill. Until that changes, we need to have people in those public places who are ready to use their weapons to end the attacks.